From gorgeous modern pieces to mid-century gems, you never know what you might find at the top-quality furniture stores of New Mexico. 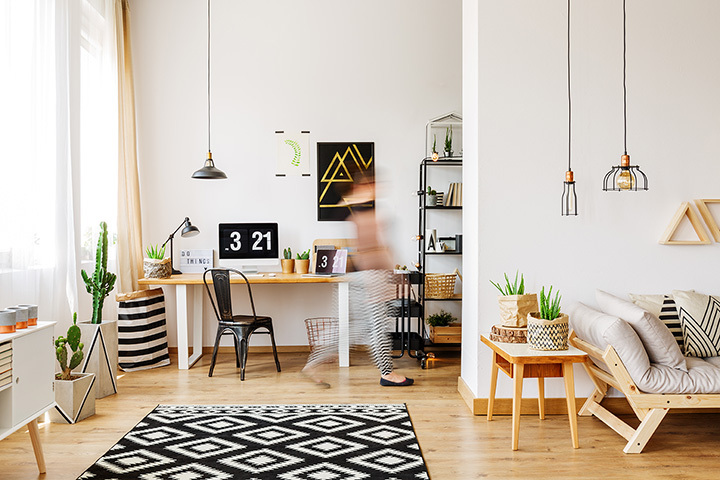 It doesn’t matter if you’re decorating your dorm or your new home, these furniture stores will help to liven up your space. Here are the 10 best! The melding of function and artistry is apparent in every piece of furniture created here. It’s all handcrafted from sustainable woods, including walnut, cherry and African mahogany, as well as reclaimed woods, copper and other metals. Hand-rubbed finishes, inlaid designs and bits and pieces of Southwestern details makes each item distinctive and unique. A very stylish, modern looking building houses, perhaps, the state’s largest selection of contemporary-style furniture. Locally owned and operated for more than 30 years, the 33,000-square-foot showroom showcases quality furniture from around the world, plus many items made in the USA. You’ll find dining, living, bedroom, patio and office furniture—everything you need to decorate a house or work space. A wide-ranging selection of area rugs, lighting and mattresses are also on-hand. If you can’t find what you’re looking from the 100,000-square-foot warehouse, either on-line or in person, then it just hasn’t been made. Since 1936, this company has been meeting the state’s furniture needs, providing affordable merchandise, a convenient experience and great customer service. An in-store purchase comes with free assembly. Every room in a house or professional setting is represented with quality finds. On a budget? This hometown furniture store is the place to shop. It’s offers great pricing and a customer service policy that makes sure you stay within your budget. This community favorite since 1999, features a complete line of traditional, contemporary and rustic furniture, plus art and home accessories in its 12,000-square-foot showroom. Can’t find what you’re looking for? Their easy special order process helps you find, and get, what you want. On-site design and consultation services. Buying furniture is a long-term investment. Three generations of owners have understood that, so the focus here is on building relationships first and selling furniture second. What began with two friends sharing a dream more than 60 years ago has morphed into one of the largest furniture showrooms in the southeastern part of the state. You’ll find an exclusive line of luxury furniture, plus everything you need to fill every room in your house. Design services allow for choice of style, color, fabric and wood to suit any and all tastes. Cool. Stylish. Chic. Elegant. That’s the type of merchandise you’ll find at this store that’s all about contemporary design. The spacious showroom has artfully arranged furniture and an eclectic assortment of home furnishings. Looking for an elliptical desktop mobile? You’ll find it here, as well as sleek sofas, fashionable tables, colorful outdoor loungers and modern looking dinnerware. Wander through this store for an eye-popping experience in modernistic design. Goldilocks discovered she had to sit in a number of chairs to find the perfect one. Here, you can test out hundreds of chairs in search of one that’s just right, from loungers to dining room chairs to kids rockers. Other merchandise includes a large selection of top brand home furnishings and appliances for all rooms of the house. Great prices, knowledgeable salespeople, professional installation and service combined make this the right choice for the discriminating shopper. Handcrafted western furniture designed by an artistic craftsman with a meticulous attention to detail who’s been in business for more than 40 years is on display at this unique store. Custom designed beds, benches, tables and chairs capture Western themes. No two pieces are alike and all are constructed out of Ambrosia Maple. Custom designs include choices in stain, metal copper coloring and back lighting embedded in furniture. Two collections, Cimarron and Ruidoso, showcase different handcrafted styles. This furniture store is a get-off-the-highway it’s named for adventure in furniture shopping. It has everything—dining, living room, home office, bedroom, mattresses, art work, accessories, all from top name brands. New arrivals daily keep the showroom fresh and up-to-date. Store merchandise is arranged to imitate actual rooms so you can see how different pieces work together. Sale and clearance items are scattered throughout. Color, color and more color—the colors of the Southwest decorate much of the furniture in this store’s 9,000-square-foot showroom. It’s a spectacular collection of solid wood pine furniture that are finished through different colorful approaches. Brighten up your office or any room in your home with a vibrantly detailed bookshelf or headboard or desk. Each piece makes a statement and can stand alone or blend into any just about any decor. Share the beauty of what is here, gift cards are available.